Sun., May 13, 2018, 6 a.m. Candidates sometimes differ on whether a campaign is a marathon or a sprint, but on one point there’s no debate: The official starting line is this week. Filing week starts Monday morning when elections offices around Washington open for business, and prospective office holders have until the close of business Friday to turn in their petitions of candidacy and the filing fee, which is 1 percent of the annual salary for the job they want. Things a candidate does before that – issuing news releases, making speeches, sending tweets or accepting contributions – are technically just the warmups. The November ballot will have midterm races for Congress, plus all the state House of Representatives seats and half the state Senate, and most county executive posts. U.S. Sen. Maria Cantwell, a Democrat, is seeking her fourth term with the prospect of wide-ranging challengers on the ballot – three Democrats, two Republicans and three third-party candidates, based on Federal Elections Commission reports. Filing a statement with the FEC is not the same as filing for the office and paying the $1,740 filing fee. Her highest-profile challenger to date is Joey Gibson, leader of the Patriot Prayer group, who is running as a Republican. The hottest race in Eastern Washington is shaping up to be the 5th Congressional District race for the seat held by Republican Rep. Cathy McMorris Rodgers, who is seeking an eighth term. Her main opponent is Democrat Lisa Brown, a former legislator and former chancellor at Washington State University Spokane. Spokane-area legislators are seeking re-election, with the exception of state Sen. Mike Baumgartner, who is running for Spokane County treasurer, and state Rep. Jeff Holy, who is running for Baumgartner’s 6th District Senate seat. The county treasurer’s seat is open because incumbent Republican Rob Chase is running for county commissioner against Mary Kuney, a fellow Republican appointed to an open commissioner seat last September by Gov. Jay Inslee. Chase and Guarisco said at the time they’d run for the seat when it came up in 2018, although Guarisco hasn’t raised any money this year, according to state Public Disclosure Commission reports. Commissioner Al French is also up for re-election. 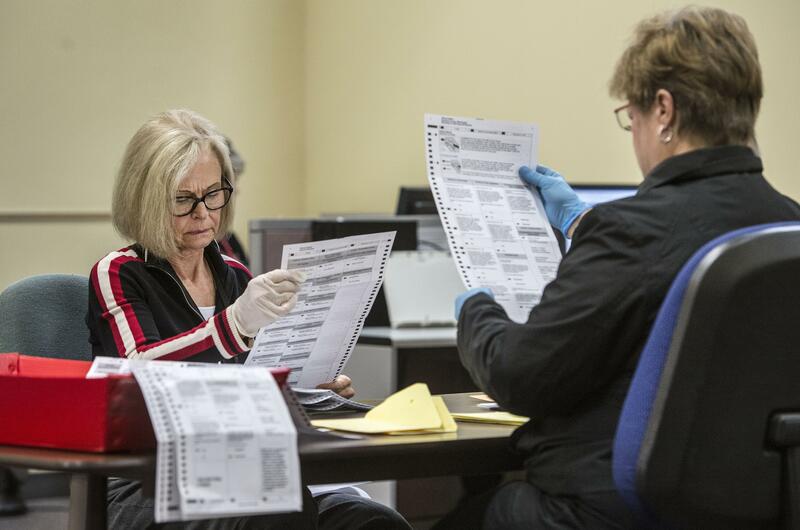 While Republicans have a full slate of candidates for county offices, Democrats are noticeably absent except for longtime County Auditor Vicky Dalton, who’s running for re-election. Spokane County Democratic Chairman Ed Wood said the party expects to have a candidate file against French for that commissioner seat, but probably will let Kuney and Chase fight it out for the other one. Under Washington’s top two primary system, the two candidates with the most votes in the primary advance to the general election, regardless of party. There may be Democrats to run for treasurer, clerk and assessor, but they haven’t found an attorney interested in running for prosecutor, Wood said. They probably won’t have a candidate for sheriff. Filing ends on Friday afternoon when the elections office closes its doors. Published: May 13, 2018, 6 a.m.